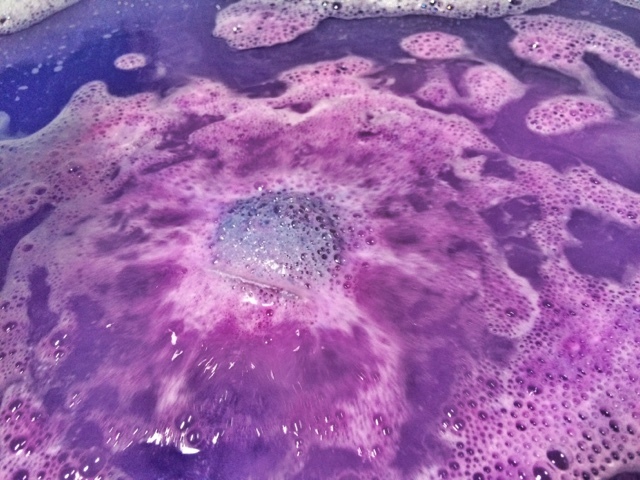 Today's post is a review on the Blackberry bath bomb from Lush. 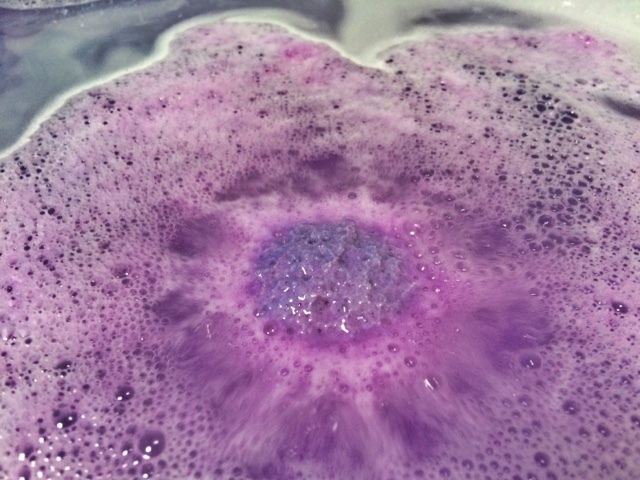 Like the Avobath bath bomb, The blackberry bath bomb wasn't one that was at the top of my list on lush products to try. Although I really like the colour purple I never ever thought of picking this up because I'm not the biggest fan of the blackberry scent and I had a pre conceived judgement about this, but it's safe to say I'm eating my words now because WOW! This bath bomb smells fantastic. The scent isn't overpowering which I like because if it was I don't think I would have bought it at all, I was very pleasantly surprised by this to say the least. 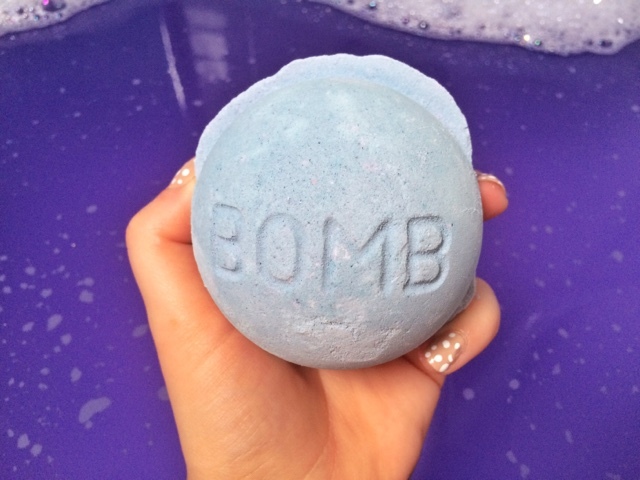 The design is simple, purple all over with the word "BOMB" printed on it. 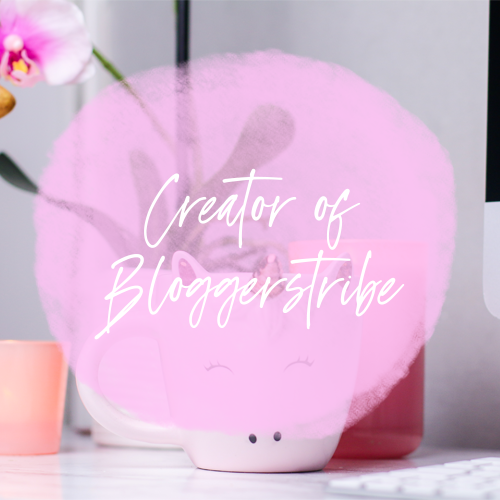 Simple designs are a hit or miss with me but this one is in between in my opinion. 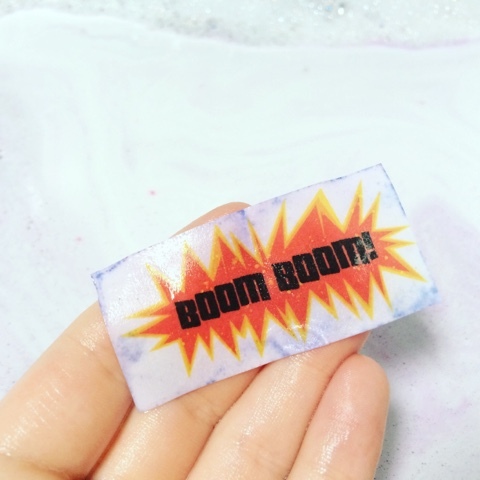 In my research of this bath bomb I came to find that it was one of the first products ever made by lush which is pretty interesting to know, there was lots of trial and error with products and this is one of the bath bombs that got the all clear and is still one of its best selling bath bombs to date. It's not surprising that it's still a best seller to date as it has lovely ingredients that made up one amazing bath bomb. The scent is fresh and unlike any other, the colour is a muted purple but in the water turns into an epic shade of purple and it leave your skin feeling like it has had some much needed TLC. When I put this bath bomb into the water the scent was apparent from the get go, it filled the room with a relaxing aroma that made me want to lay back and enjoy my bath, the sales assistant in Lush told me that the inspiration for the scent and colour of this bath bomb was taken from the Parma violet sweets which I definitely understand as the colour of the bath bomb before going into the water is the same as the sweets. 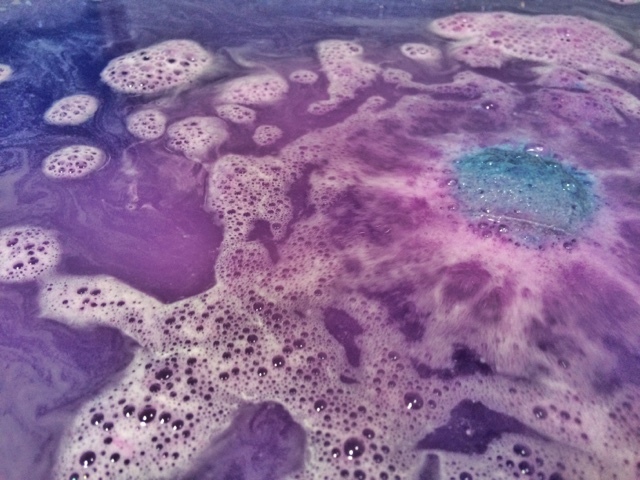 An amazing purple colour was filling the bath water and I just loved it because purple is my second favourite colour, I guess that the fact I used the karma bubble bar first really helped with the colouring of the bath and I'm glad I did because it was like a big purple explosion happening in my bath. It took around 5 minutes for the whole bath bomb to disappear which is a good length of time I would say, I hate the bath bombs that fizz out too soon, I feel like you don't get the full enjoyment out of it that way. My skin felts great after this bath bomb, it felt smooth and refreshed. Once the bath bomb had fizzed away I got a nice little surprise in the form on a note that said "Boom Boom" on it, at first I was shocked because I didn't understand what the white thing floating about my bath was so when I picked it up and saw the boom boom on it, I felt happy because it was like getting a present from lush that I just wasn't expecting. It definitely add a lovely little touch to my bathing experience. 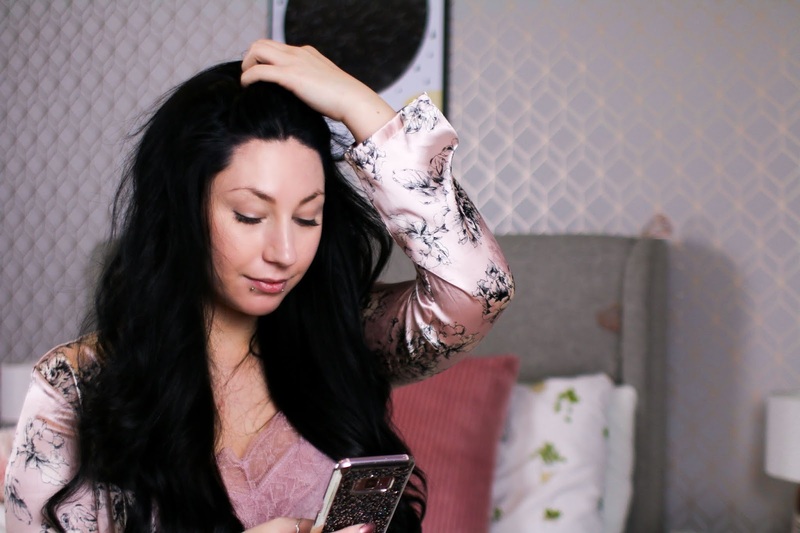 All in all I would recommend this to anyone who wants to relax and forget about their exhausting day, after the bath I felt at peace and ready to spend the rest of my night relaxing. The smell wasn't too overwhelming which was great and I still had a hint of it on my skin for a little while afterwards. So go buy this bath bomb, experience it for yourself and have a lovely bath time. So what do Lush say? 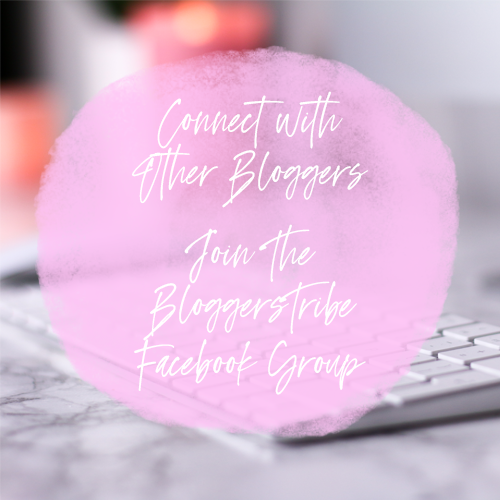 "As soon as you drop this into your bath, tension is banished as the bergamot and frankincense oils are released. Bergamot is used in aromatherapy for anxiety, depression and nervous tension, and is both relaxing and uplifting as well as antibacterial. You’ll soon feel calmed as frankincense oil helps slow down breathing and induces a feeling of well being."